Ed. Note- Continue below for even more photos of the Pioneers and the Colonials' playoff classic. 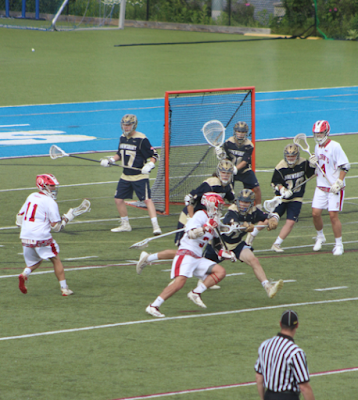 Note that you can click any image to enlarge. 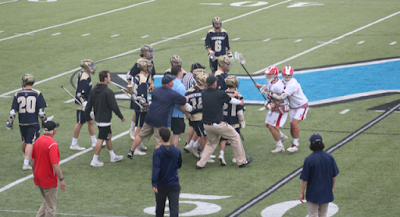 St. John’s vs Shrewsbury is certainly that, plus a little extra pushing and shoving. 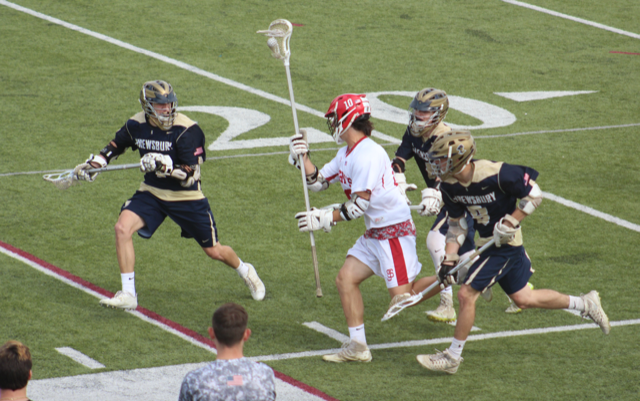 Each time these cross-town rivals meet in the playoffs, they put on a great display of lacrosse at the highest level Shrewsbury, MA has to offer. 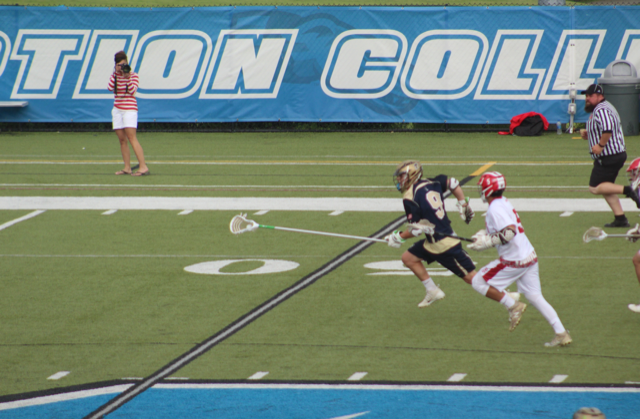 Thursday, the Pioneers got the better of the Colonials, winning their Division 2 Central/West playoff game 5-4 at Assumption College. 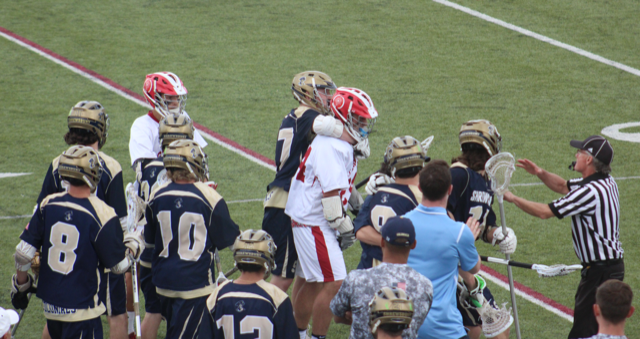 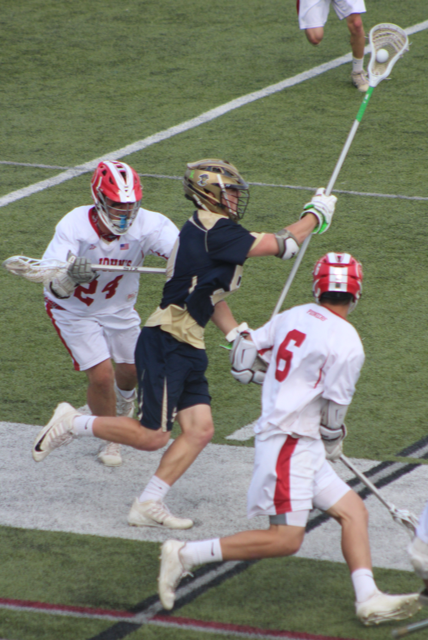 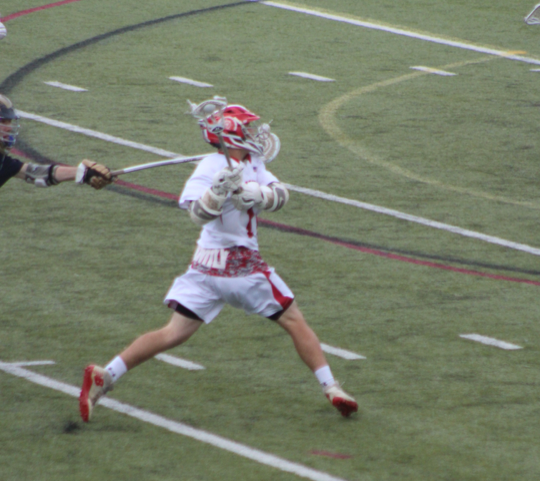 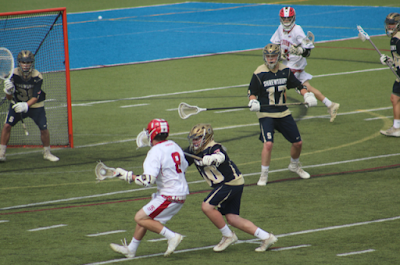 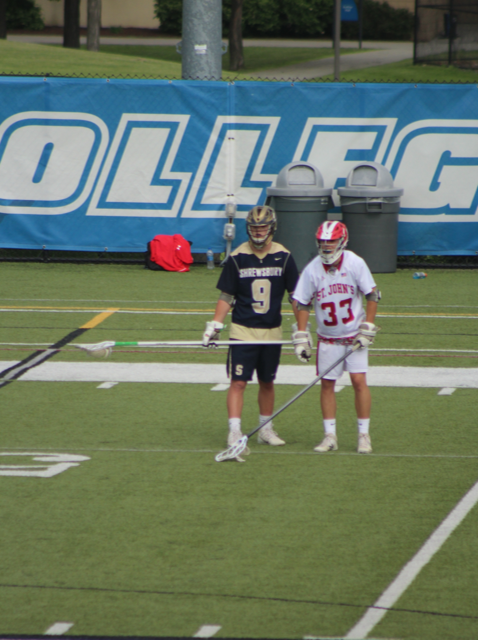 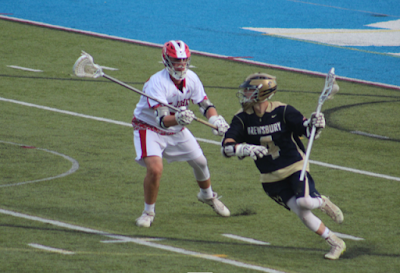 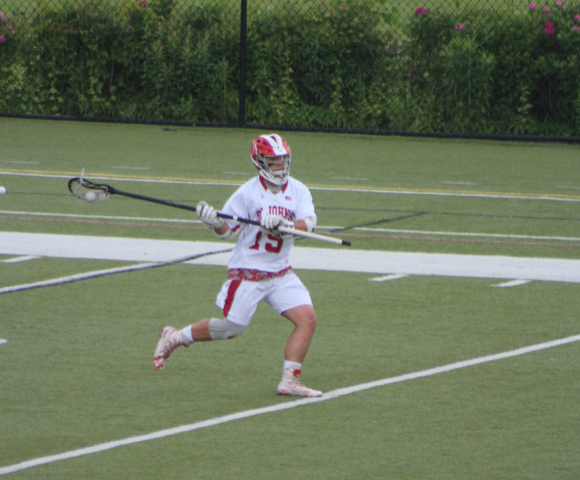 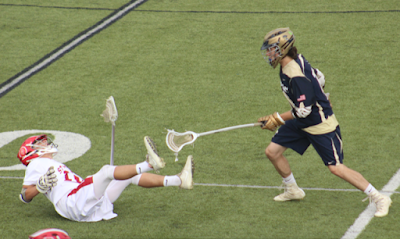 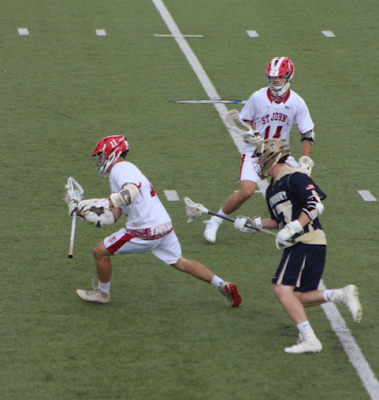 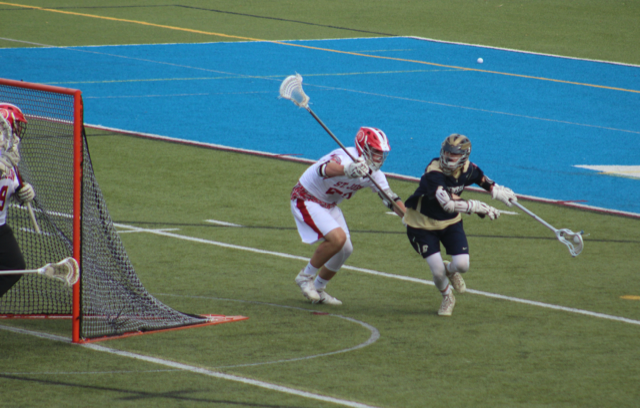 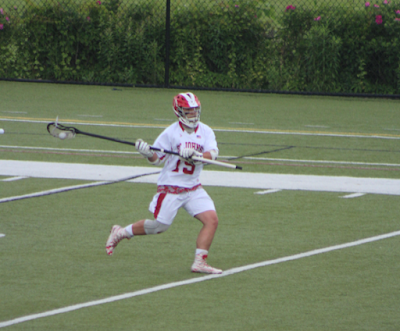 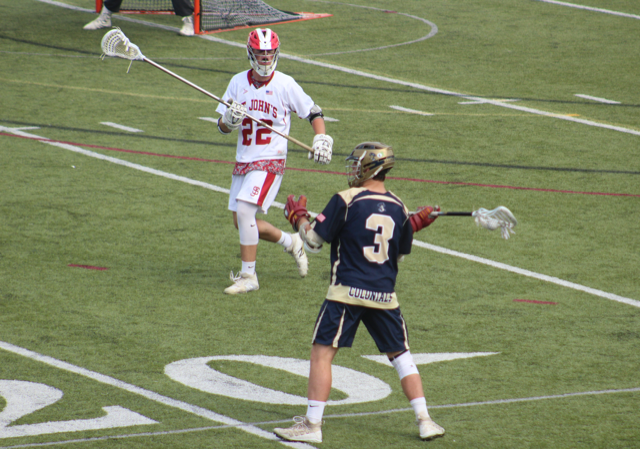 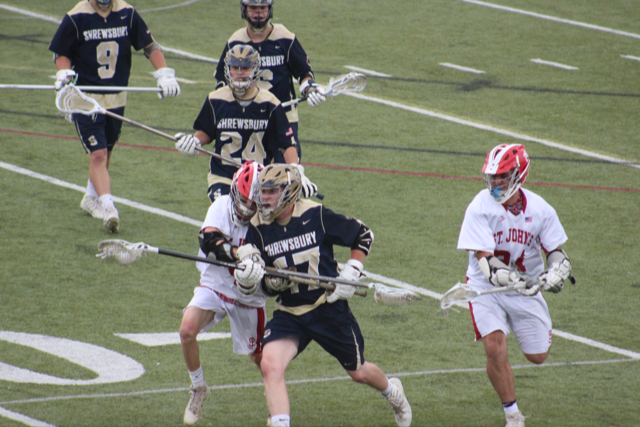 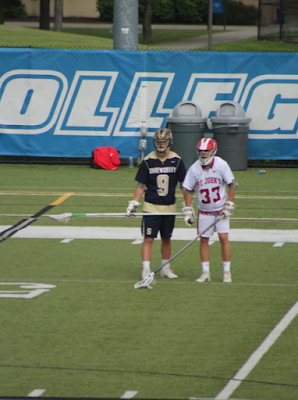 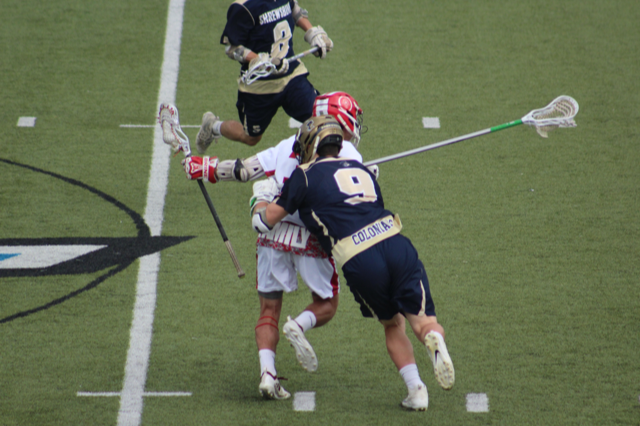 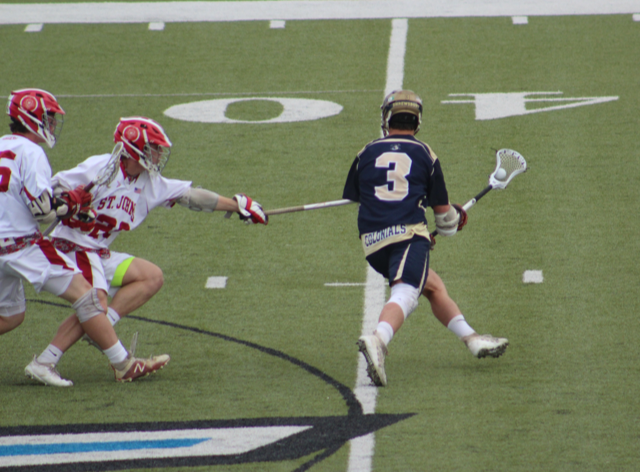 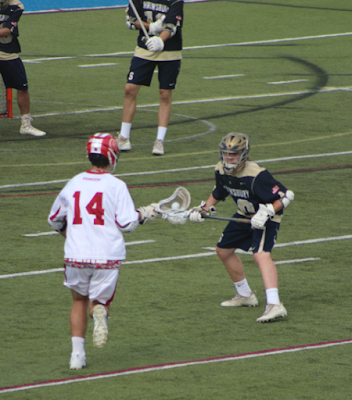 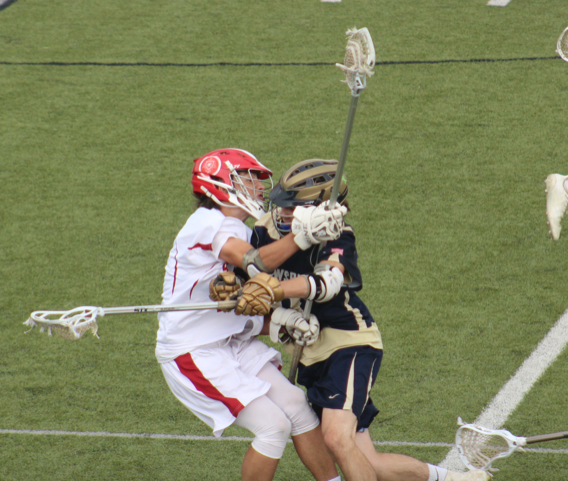 In the first quarter, Shrewsbury’s newly named All-American Mason Kohn won the opening faceoff. After a few minutes, Alec Buduo buried home the first goal after teammate Sam O’Connor made a tricky pass off the ground. Buduo made the nifty finish to put the Colonials up 1-0. On the next offensive possession, it was Kohn who finished for the Colonials, pushing their lead to 2 goals. For the Pioneers, Jack Donahue did what Jack Donahue does, and put one in the net to break the ice. It was then Owen Boss who followed with a goal of his own, tying the game at 2, sending us into the first break tied. 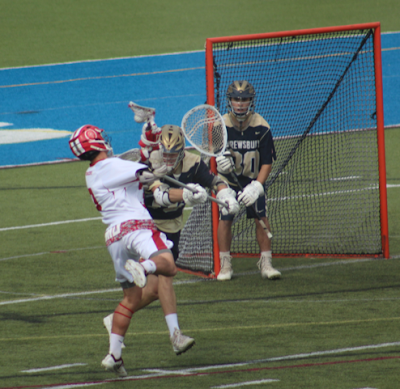 The second quarter was filled with action packed lacrosse, from fundamental defense to timely goaltending, but both teams were able to keep their opponent scoreless, until Tim LaCroix found the back of the net for Pioneers with 5:22 remaining in the half. 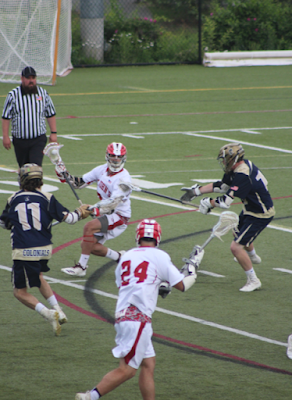 The score going into the half was Pioneers 3, Colonials 2. 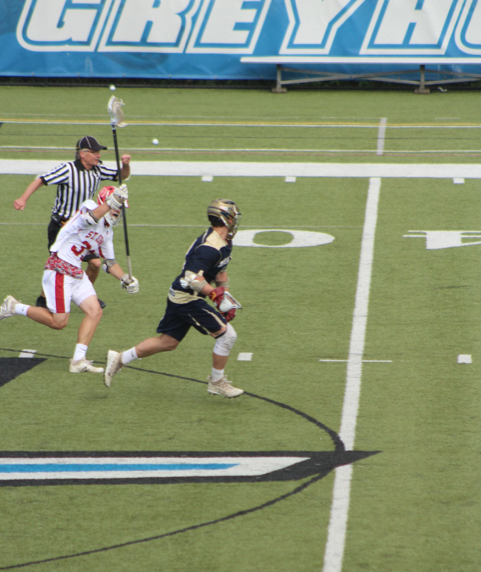 Just eight seconds into the first half, Kohn found Cole Russo who finished for the Colonials tying the game up at 3. A few minutes later, Alex Cashman finished with a bomb from the top of the box to give the Colonials the 4-3 lead heading into the fourth. 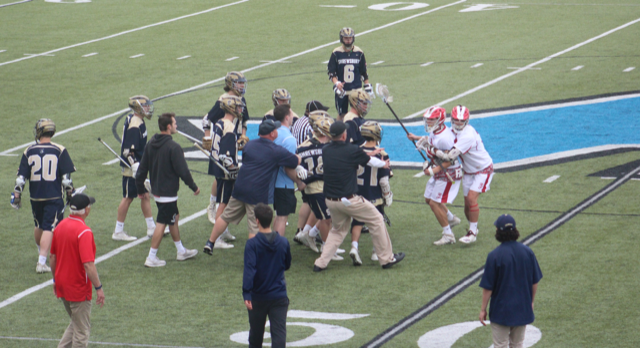 Anyone who has been around St. Johns and Shrewsbury playoff lacrosse knows that these teams always find a way to meet, and they always find a way to give the fans the best lacrosse game possible. 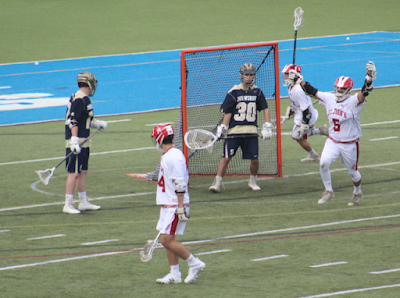 Thursday, in the fourth quarter especially, was no different. 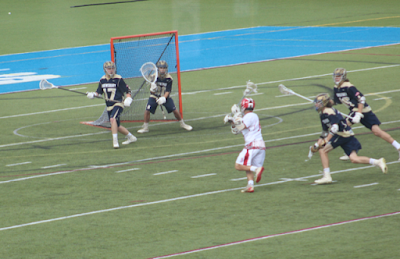 With eight minutes remaining in the fourth quarter, Jack Donahue tied the game up for St. John’s. 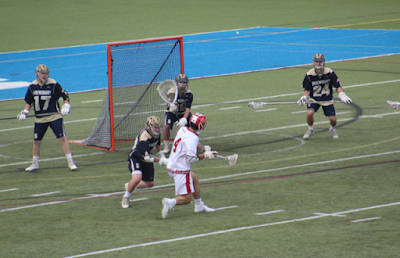 With two minutes and twenty-two seconds remaining, it was Charlie Davidson who would find the back of the net for the eventual Pioneer game-winner. 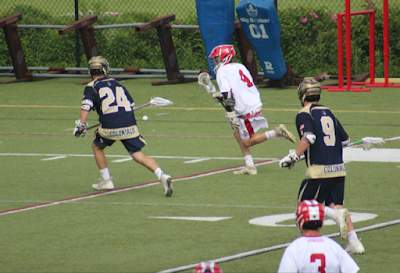 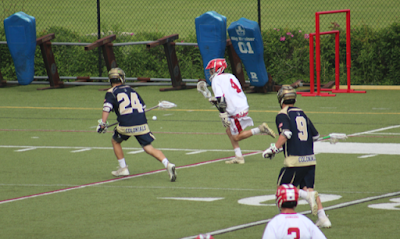 Defensively for the Colonials, another All-American Chris Campbell, as well as Nick Perron, Jack Tepper, and Sean Vroman really played on their toes today, holding a high-powered St. John’s offense to just five goals. 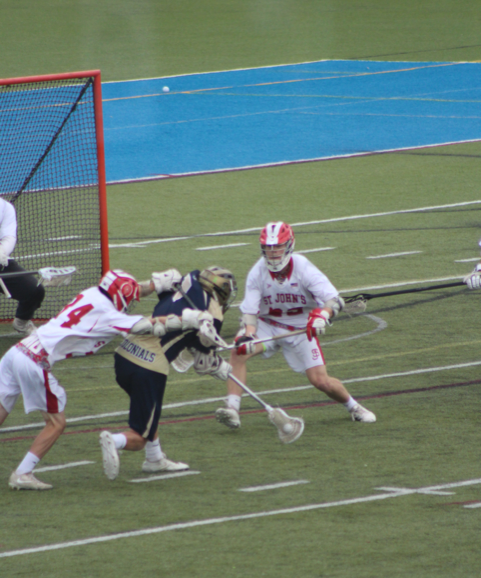 Goalie Mike Fornal finished the day with 13 saves, keeping the Colonials in it until the very end. For the Pioneers, it was Joe Franzoso, Ben Scharf, and Brad Quitadamo holding down the fort, impressively holding the Colonials to just four goals. Goalie Cam Hearn had 6 saves on the day. Offensively for the Pioneers, the second half was when they really picked it up. 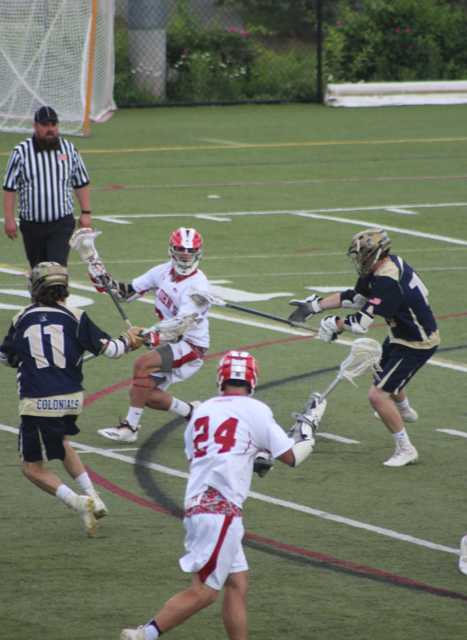 The Pioneers took full advantage of getting to play their cross-town rival twice this season. 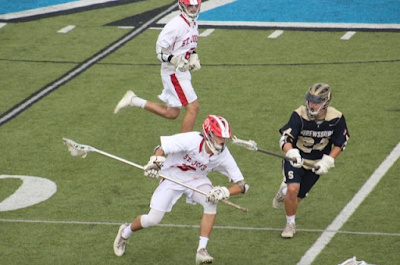 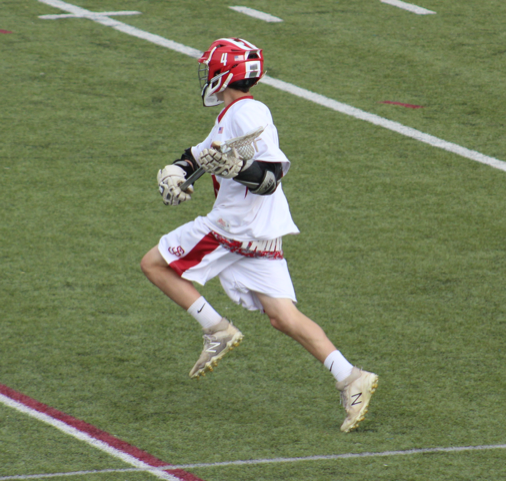 “It felt great to get the opportunity to play them twice in one season” said St. John’s junior midfielder Charlie Davidson. “Our defense kept us in it, our offense started to click at the end, and we got away with one." 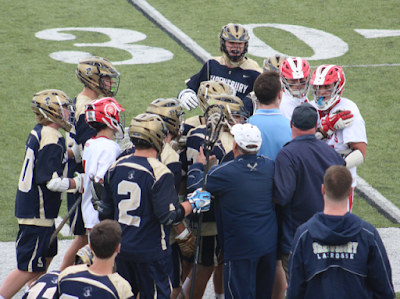 Coach O’Leary really stressed playing through adversity and playing old school St. John’s lacrosse. 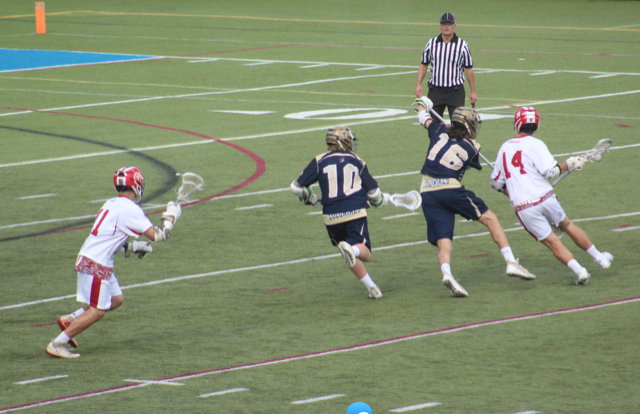 Thursday marked was the end of the Shrewsbury careers of nine players. 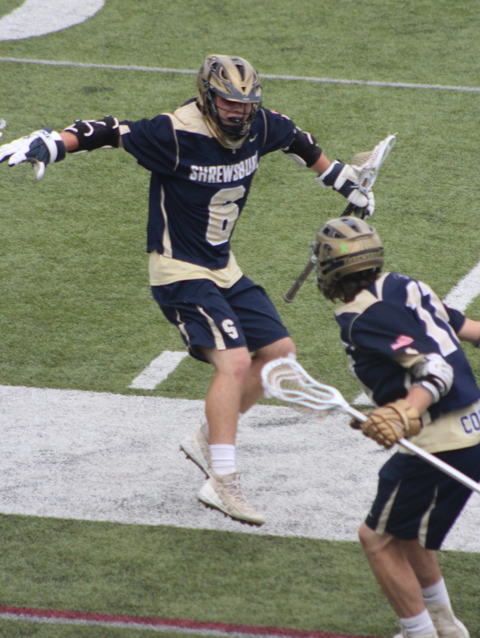 From the beginning of their sophomore season, they have tallied thirty-five total wins, putting together extremely impressive careers at Shrewsbury High School, both on and off the field. For the Pioneers, they will move on to face Westfield, who beat Algonquin 11-9 on Thursday. 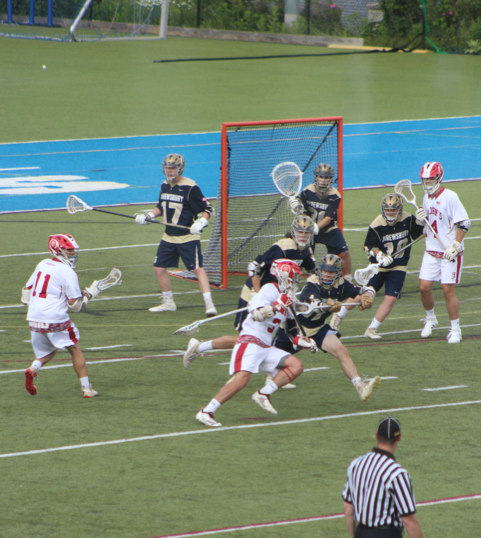 St. John's is set to be the home team, but game details (location, time, etc) are TBD. Tune into SuiteSports by following Joe Parello (@HerewegoJoe) on Twitter for more Central Mass lax info.